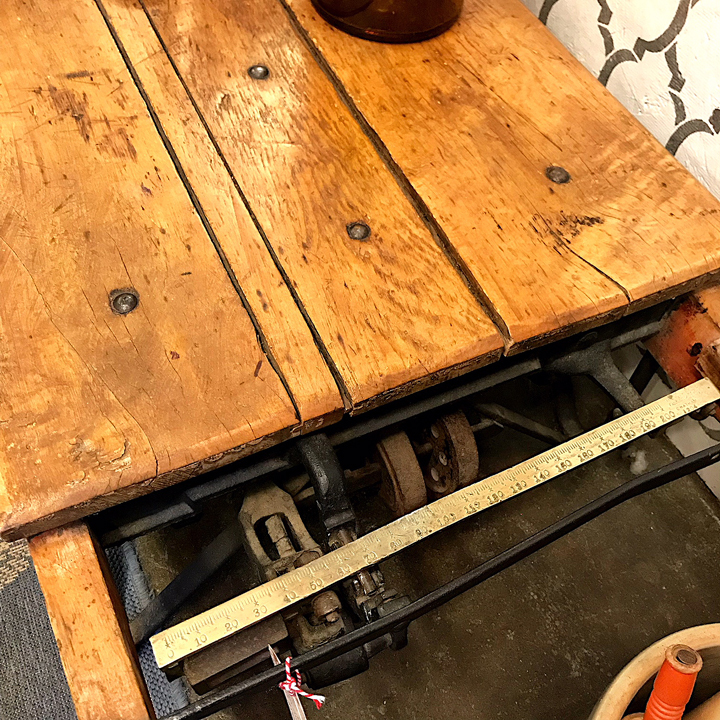 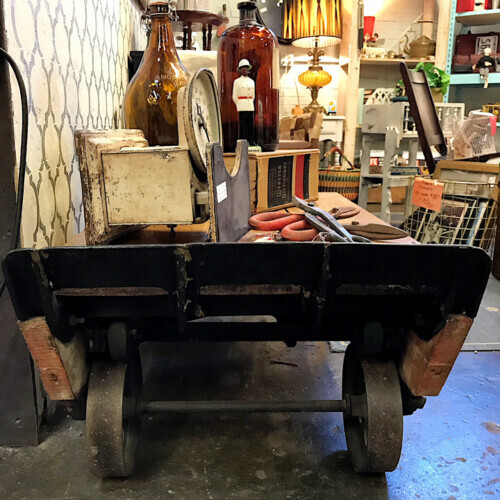 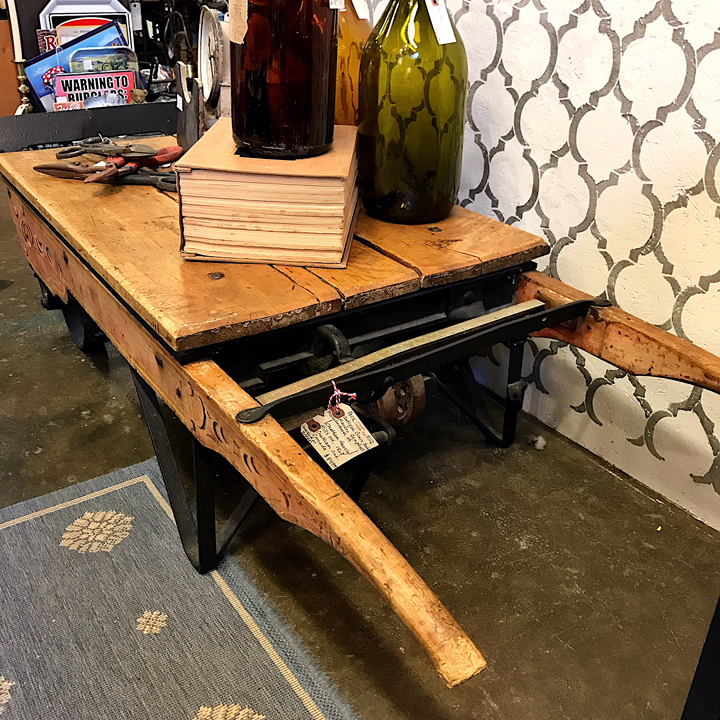 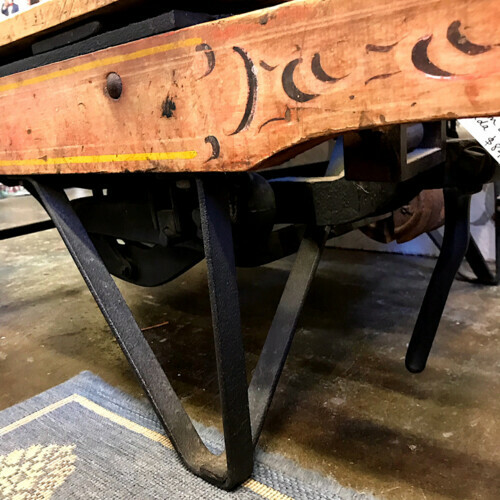 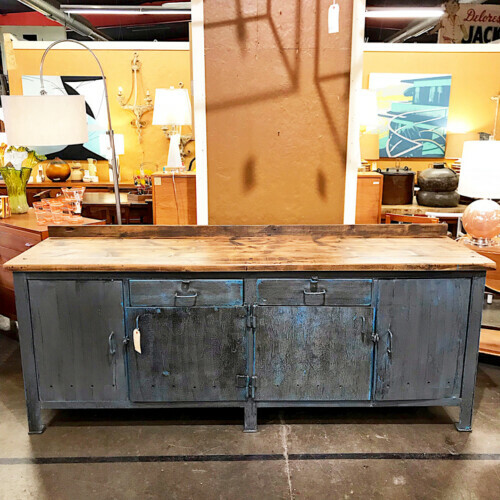 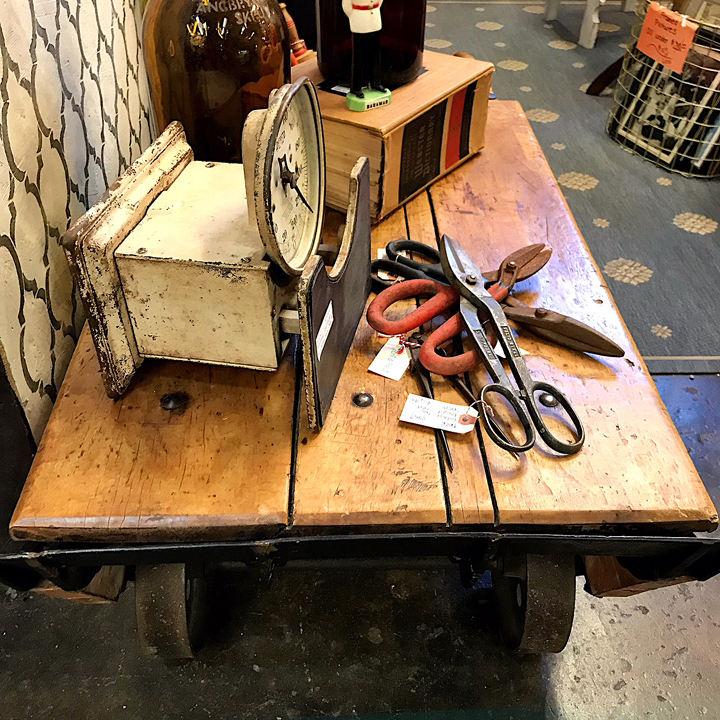 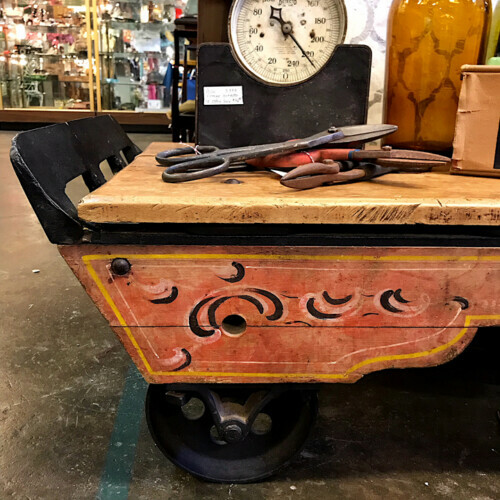 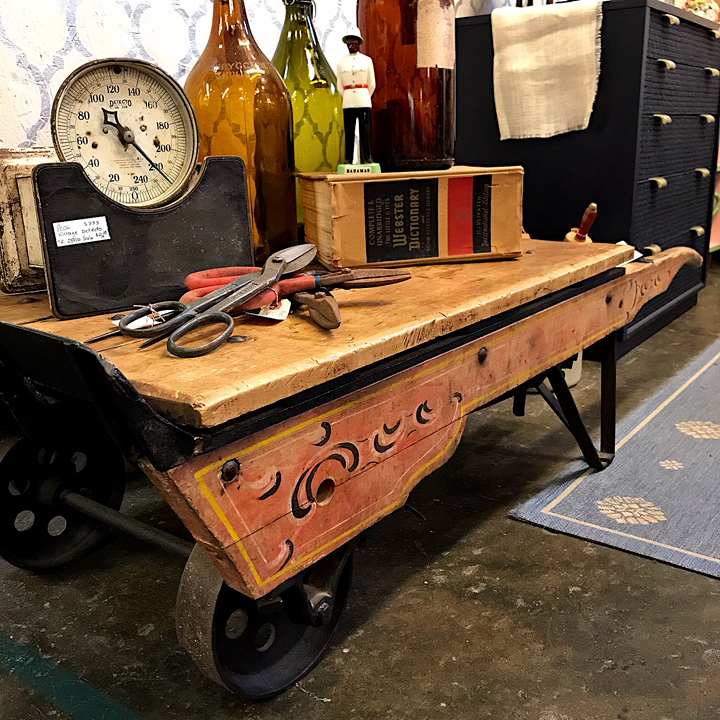 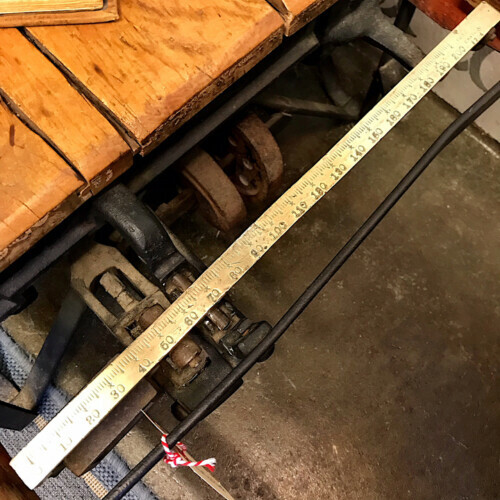 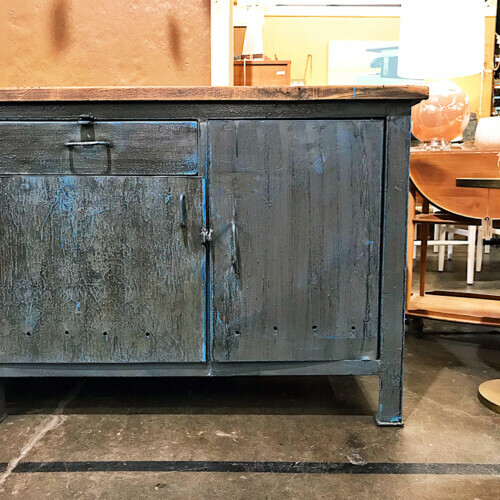 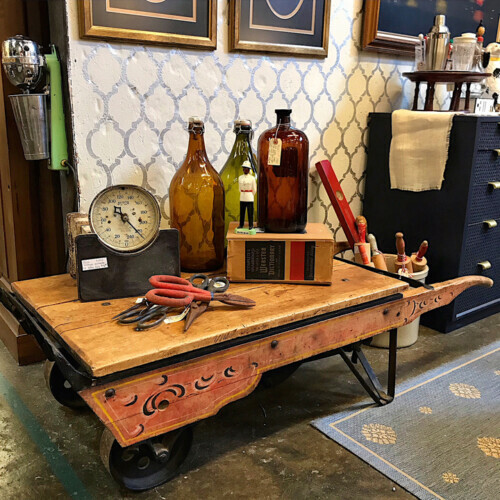 Featured here is an amazing Manson Campbell antique grain scale cart that would look amazing re-purposed as a coffee table! This unique beauty has a beautiful patina to the wood and features hand painted designs on the sides, has cast iron wheels and frame work, a brass measuring stick attached to the scale. Stamped into the brass balance arm is: Manufacturer of Chatham Fanning Mills established 1868 Chatham Ontario, Canada, No. 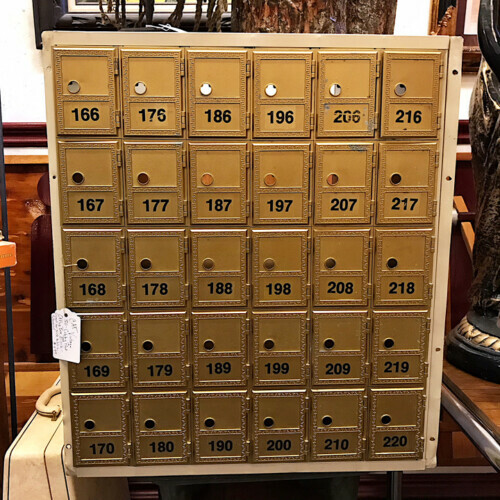 1204. In good vintage condition with age appropriate wear. 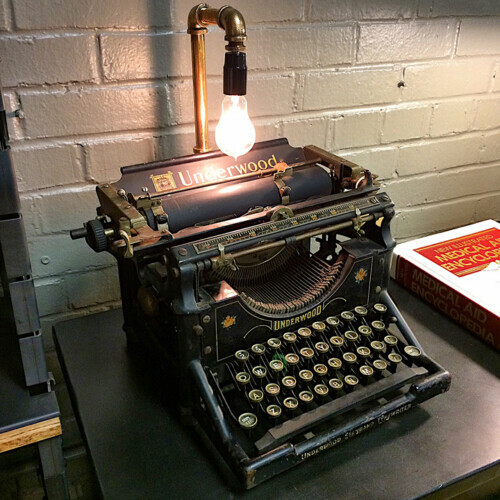 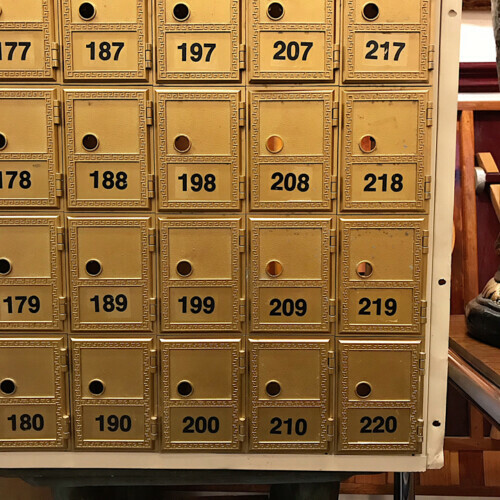 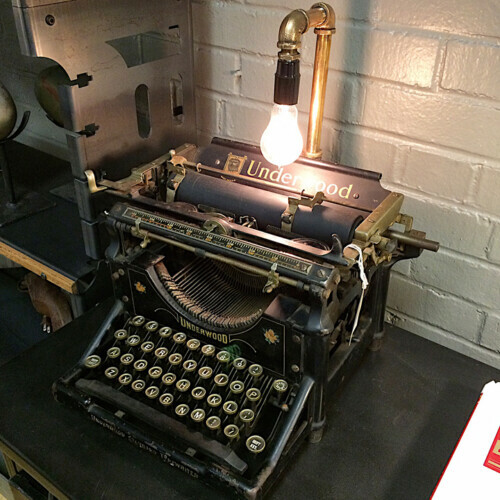 Will pack a lot of charm and character into any space! 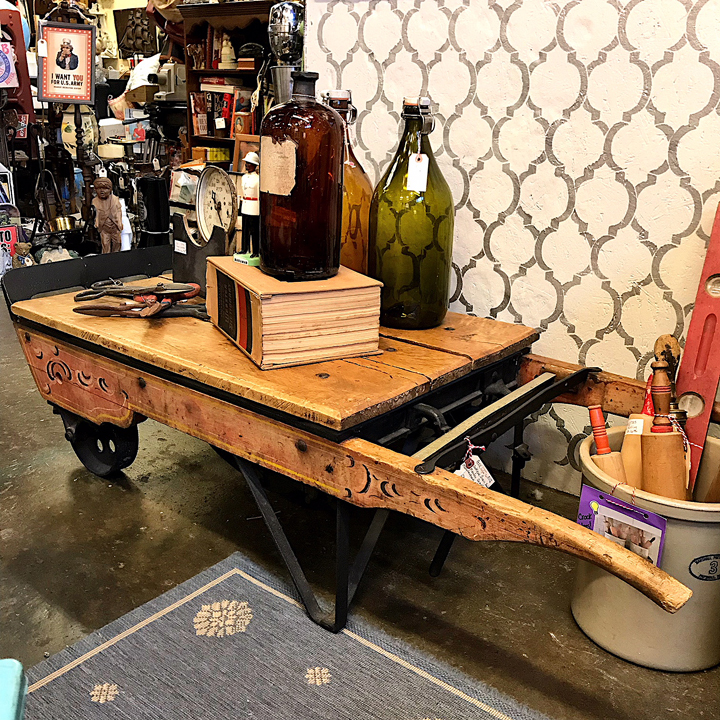 Measures approximately 58″ Long x 23.5″ Deep x 16.75″ Tall at the highest point and 14.5″ Tall at the top of the cart surface.